And welcome to the last day of Meet The Authors! I was supposed to have another author on as well but due to some unforeseen circumstances, you'll be "meeting" her during next month's Meet The Authors. 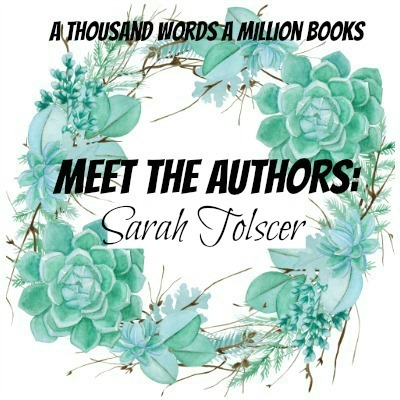 I have with me today Sarah Tolcser, debut author of the AMAZINGLY MAGICAL BOOK whose Main Character is a FEMALE PIRATE, Song of the Current. The lovely folks at Bloomsbury India sent me a copy of this book, which I just finished reading last Friday and I FELL IN LOVE WITH IT. My review should be up on the blog this Wednesday so be sure to check it out. Sarah was kind enough to answer my questions about herself, and is also giving us a little information about book two in her series. Also, there's an AMAZING International giveaway that she's hosting so please be sure to enter! 1. If you could create a fictional crew to hang out with, which five characters would you pick? This is a tough question and I’m sure I’m going to forget someone really good. Phryne Fisher from the Phryne Fisher mysteries, Luna Lovegood from Harry Potter, Mara Jade from the old school Star Wars books, Alanna from Tamora Pierce’s Song of the Lioness, and Emily of New Moon…. Wow this is all either female warriors or artsy weirdos. So yeah, that sounds about right. 2. Would you rather be locked in a bookstore or be able to see the future? See the future! I am the kind of person who always likes to know what’s going on when, so I feel like this would be very reassuring. I’m working through Agatha Christie at the moment, and I want to say Murder on the Orient Express, except I think I’m going to give this to Death on the Nile. Mostly because I figured out who did it and I’m super pleased with myself, and I think that made me like the book more! Haha… Agatha Christie makes it really hard to figure them out, even though all the clues are there. 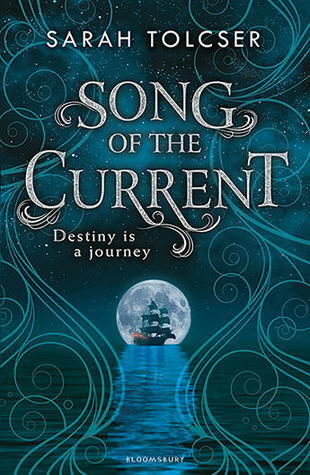 Song of the Current is about a girl from a family of river smugglers who ends up on the run from pirates after she agrees to deliver a mysterious cargo. It’s a story about family, bravery, gods, sea serpents, spoiled noble boys, and girls with flintlock pistols, and also about how sometimes your fate finds you when you’re least expecting it. 5. A lot of technical terms in relation to sailing went into the book - are you a sailer or was there a lot of research involved? When I was a kid & teen reader, I was obsessed with sea books. I finally learned to sail at summer camp and went on to teach sailing at three different camps. But there was still a lot of research involved, because I’ve never sailed a boat bigger than 25 feet. I also needed to find out lots of facts about historical ships. 6. The map in Song of the Current is ABSOLUTELY beautiful! Who did it and what are some of your favourite fictional maps? I am in love with the map in my book. It was done by Virginia Allyn, and I think it’s absolutely perfect. I actually saw the map before I saw a finished cover, so it was the first “Wow this is a real book” moment for me. I’m obsessed with all fantasy maps, but I think the ones of The Hobbit and Narnia are my favorites because I used to stare at them for hours when I was a kid. 7. Any sneak peaks into what book two will hold for us? I’m working on my final revision of Book 2 now. 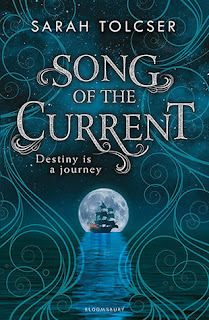 I can’t reveal the title yet, but I can say it’s more traditionally pirate-y than Song of the Current. There are new and old enemies, a lost treasure, a shipwreck, and Caro gets to use her knife throwing skills.